The plank is one of the most common exercises for increasing core strength. As you can see, the core includes a lot more muscles than simply the abdominals. Indeed, the core includes nearly every muscle that “wraps” your torso and gives you the strength and stability for dynamic, athletic movement. And there’s nothing wrong with a sleek six-pack, either. This set of muscles helps you do everything from run, lift weights, and throw a ball. Without them, dynamic movement would be impossible. 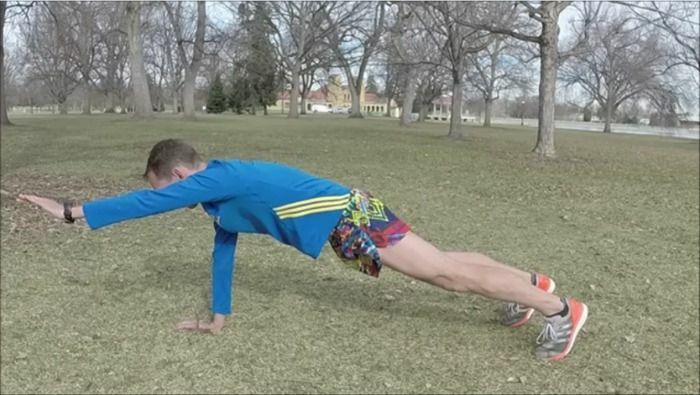 If you regularly include planks as part of your strength routine, you know how simple – yet effective – they are. They can be done almost anywhere, even in a cramped hotel room, and require no equipment to complete. They’re also a fantastic exercise for beginners and even advanced athletes. No matter what fitness category you fall into, there are numerous plank exercise benefits: strength, stability, and overall fitness. I regularly do them myself and have all of my runners complete them as part of their training. Despite all these powerful benefits, they have a significant limitation: a standard plank will only get you so far. That’s because after a few months of consistent training, your fitness gains will reach an inevitable plateau and you won’t get as much strength from this exercise as you used to. This normal part of the training process is called supercompensation. 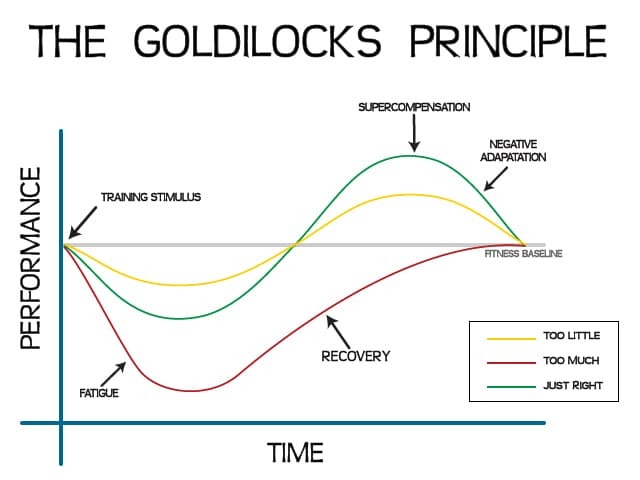 It simply means that if you stress your body beyond a certain threshold, the body learns to adapt to that stress by getting stronger, gaining endurance, and becoming more efficient. However, you need to continue stressing the body to continue your fitness gains. If you only do a prone plank for 30 to 60 seconds, your body will quickly adapt to that stress. 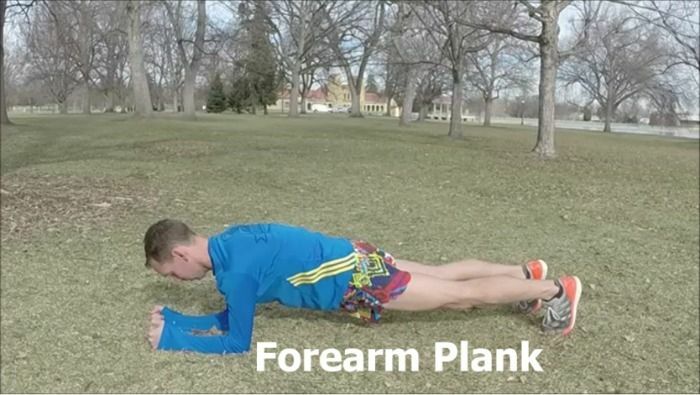 Either increase the amount of time you spend planking or make the plank more difficult. 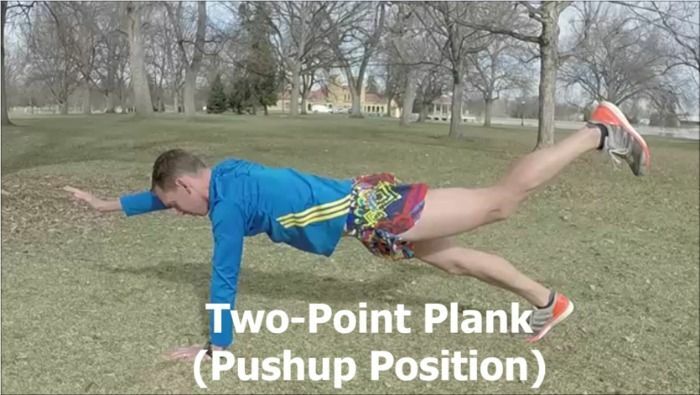 Since you probably don’t have endless hours every day to spend in the plank position, the more realistic (and effective) solution is to increase the difficulty of the exercise. That’s where a progression of plank exercise variations is helpful. 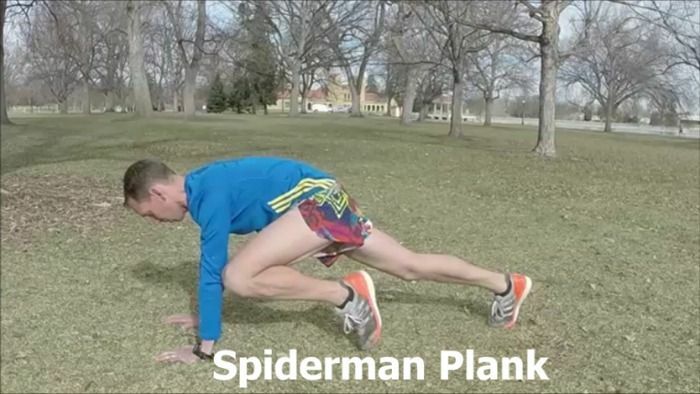 Beginners can start with an easier, entry-level plank. But as you get stronger, you can continue making gains by gradually incorporating different movements and types of planks. Soon, a “regular” plank will seem easy. And your newfound core strength will improve your body composition (in other words, you’ll look better) and functional fitness no matter what sport you enjoy from hiking, soccer, running, and weight lifting. 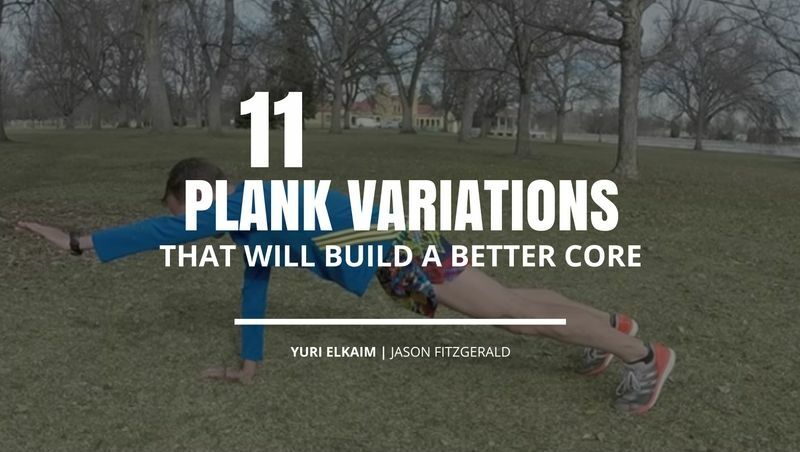 Below are 11 plank variations that can be substituted for the typical prone plank that most athletes do during a core workout. They get progressively more difficult so start with where you’re comfortable and move up from there after the exercise becomes easier. These planks can be added to your existing strength program or done together as part of a plank routine. In a prone position, prop your weight on your hands and toes. Keep a straight line from your head to your feet and brace your abs to maintain a neutral position. In the Push-up Plank position, raise your left arm to the side of your body so it is parallel to the ground and perpendicular to your torso. Hold for two seconds and return to the starting position. In the Push-up Plank position, raise your left arm in front of you so it’s parallel to the ground. Maintain a neutral spine position for the duration of the exercise. In a prone position, prop your weight on your forearms and toes. 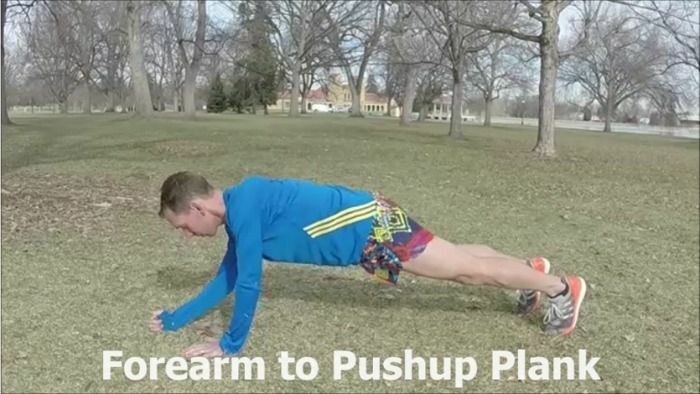 In the Push-up Plank position, take two “steps” to the left and then two “steps” to the right. 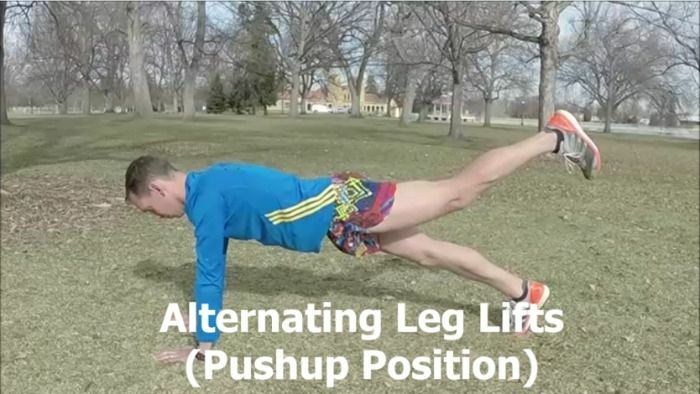 Alternate with your left arm and right leg and then your right arm and left leg. 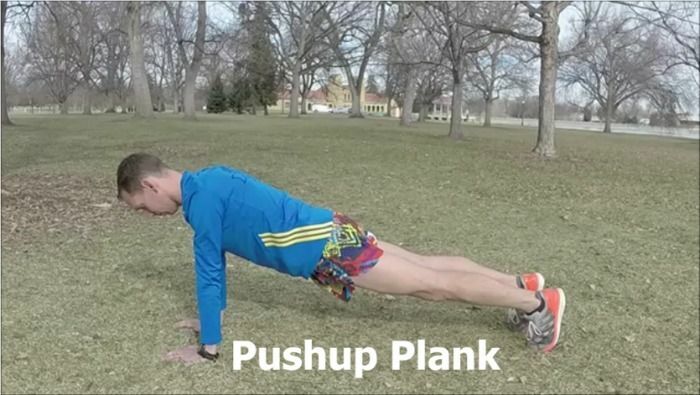 Begin in the Push-up Plank position and carefully lower yourself to the Forearm Plank position. 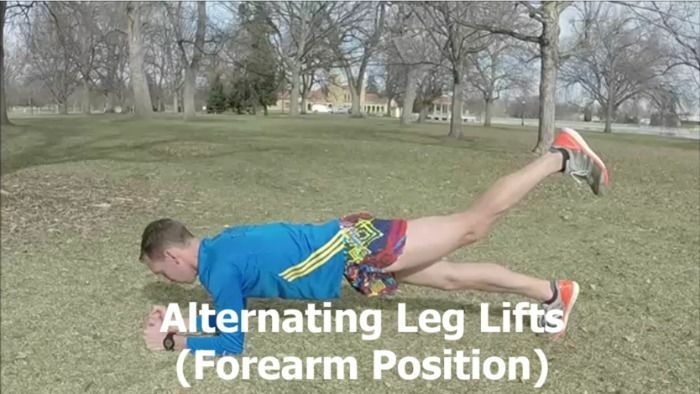 Alternate positions for the duration of the exercise, switching which arm “leads” the way. In the Push-up Plank position, bring your left knee to your left elbow and hold it for about two seconds. Return to the starting position and repeat with your right leg. In the Push-up Plank position, raise your left leg about 12 to 18 inches off the ground. Ensure good form by maintaining a braced, neutral spine position and activating the glutes to help lift your leg. In the Push-up Plank position, raise your left leg off the ground while lifting your right arm at the same time. Your left leg should be about 12 to 18 inches off the ground and your right arm should be parallel to the ground. Hold for about 2 seconds and then return to the starting position. Repeat with the opposite leg and arm. 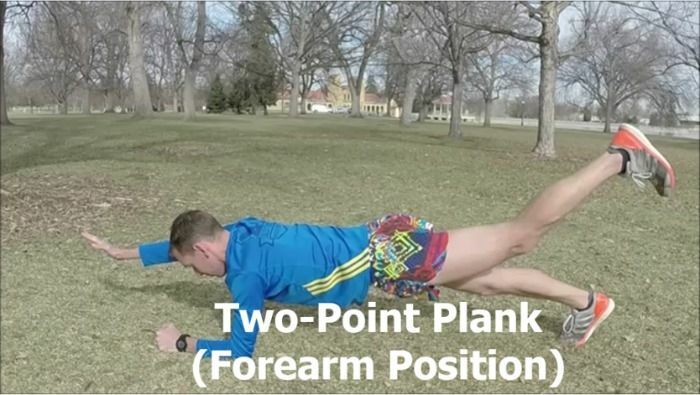 In the Forearm Plank position, raise your left leg about 12 to 18 inches off the ground. In the Forearm Plank position, raise your left leg off the ground while lifting your right arm at the same time. Hold for about 2 seconds and then return to the starting position. Perform each plank for 10 seconds up to 2 minutes based on your ability, fitness level, and how much time you have to devote to exercise. Start with one complete set of this routine and build to two sets after 4-6 weeks. If a certain plank causes pain, then skip it entirely. 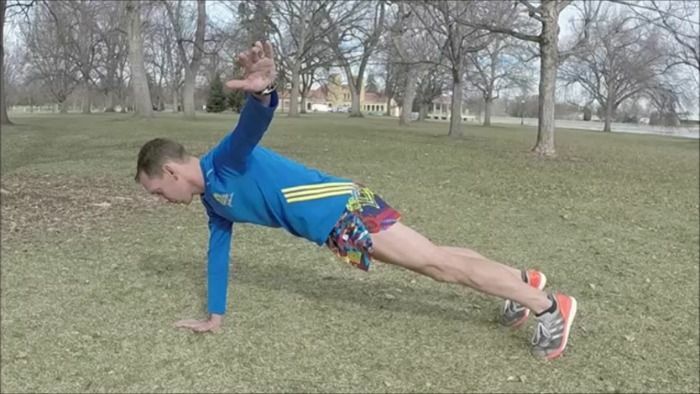 The planks are ordered (roughly) by difficulty so start with the easier versions and move up when you’re ready. If you’re a sport-specific athlete, this session is best done after training in your primary sport. A PDF of this workout (affectionately called “Gauntlet”) can be downloaded here. With a focus on core training, you’ll undoubtedly reach more of your fitness, health, and athletic goals. Now get training and good luck. 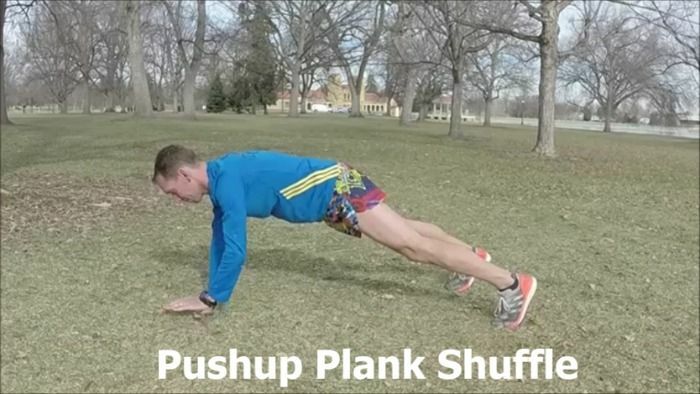 Planks will get your core strong, fast. Want to know even more ways to sculpt flat abs? Discover 7 unknown ways to lose stomach fat and get toned abs – for FREE! Click the banner below to get the blueprint for flat, tight abs in my Ab Secrets download.